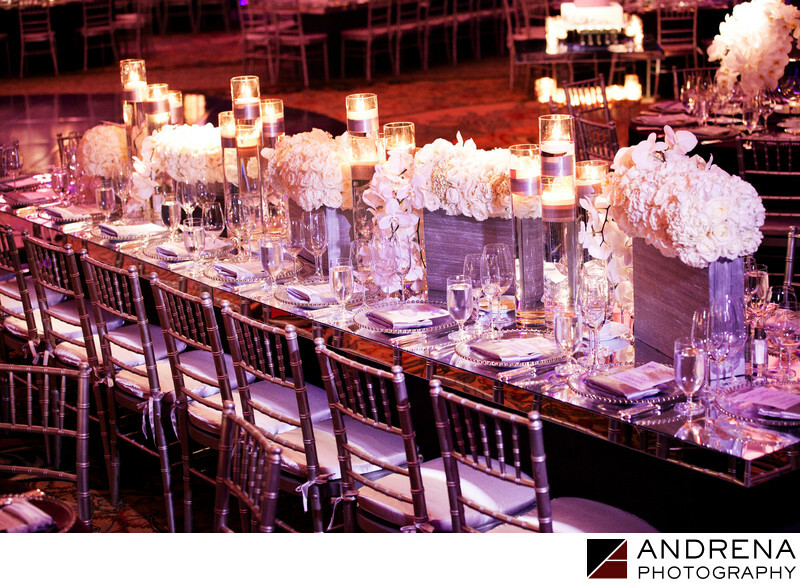 This wedding decor was created by the team at Bloom Box Designs, utilizing a color palette of silver and cream. The Montage Laguna ballroom was draped in aubergine (or eggplant), which provided a lovely dark backdrop to the pale elegance of the floral and tabletop setups. Coordinated by Nikki Khan at Exquisite Events.